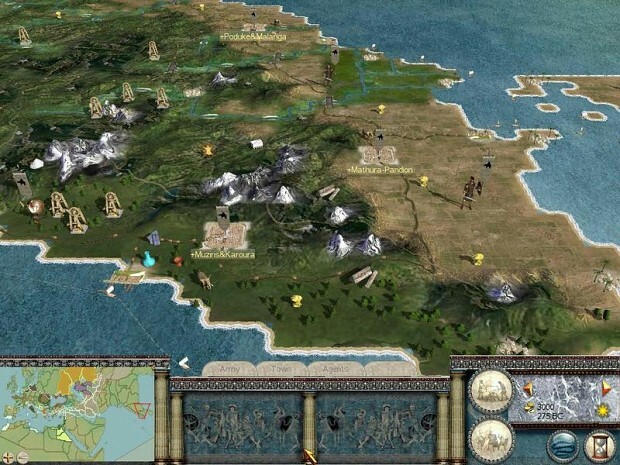 is a mod based on Rome : Total War strategy turn-by-turn videogame created by Creative Assembly in 2004, and now integrated into the "Total War Era" pack distributed by SEGA. Coming from a graphists forums, and history geeks, Belisaire, prisejack and Armninius, we choosed, after having tried and enjoyed to play RTR and EB, to build our own mod. The task was filled by Belisaire which took ideas of new units and coded them, as with prosejack which made a website for it, an i (arminius), to the skinning process. At the end, the beta1 was released in october 2007. It was a demo unit featuring almost 28-30 units by factions, corrected and historically accurate, and three new factions replacing the roman families: Illyrians, Pergamum and Galatians. The mod was fun to play because of its lightness, while having gigantic amounts of units, all of them coming from vanilla game, as none of us known barely anything about modelling. But sooneafter, as the target was considered filled, the team gently dismissed, prisjack making some updates in the beta1 catw website, and i, having the will to make a true campaign game. 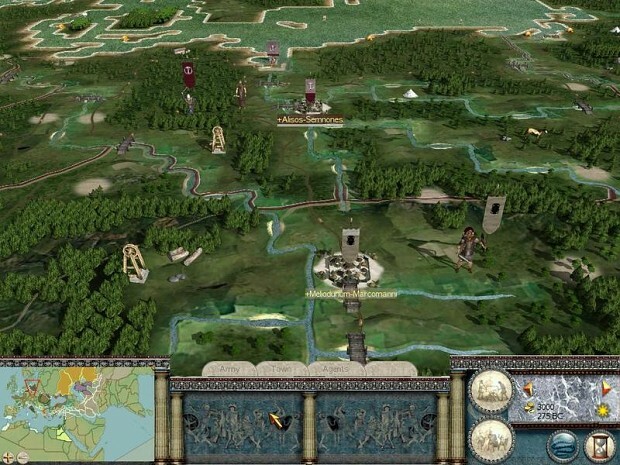 This was CATW BETA2a, eventually released in september, 2008. 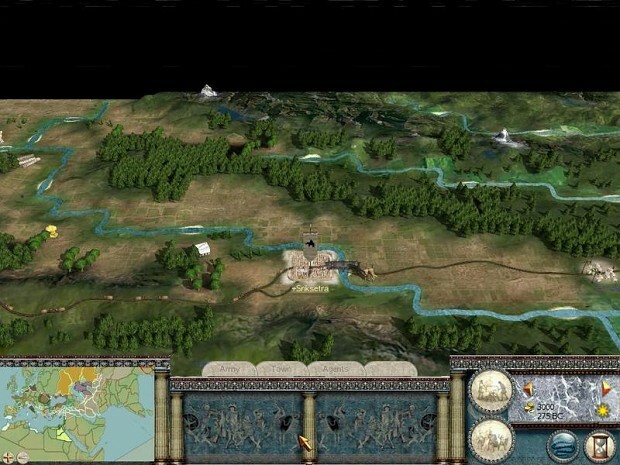 With new units from addons and mods like Prometheus res gestae and Lusted terra expugnandae, anims from Signifer One, and new ships, new buildings and a lot of specific region units, the mod featured new music, graphics, and was fully playable, including original and new historical battles, new battlemaps, etc... It was entirely in french. An english traduction was made two month after. The second version or Beta2b (final beta2) was previously designed to play on the mundus magnus map, which never works properly. Now the work is reported on the final version, or CATW 1.0.
how to force the AI to accept a proposal :First you must click the "?" in the upper right of the diplomacy box. Then you can force a faction to accept your offer by clicking on the "show me how" button. This script is very useful to prevent the AI from breaking alliances. Standalone patch. All others included in this one. Animations overhaul. Hundreds of new animations specifically designed for CATW. Adding to the immersive feel of battles. DMB fixes of all texture errors, all texture code adjusted accordingly. Expect a stable campaign now without crashes during battles. Report back if there are and which units were in the army. Everything in the DMB is fine. Only a file with improper dds encoding would cause a crash when loading a battle from now on with this patch. Several errors fixed in EDB and EDU. New formations from sinhuet modified for CATW are in it. Includes an alexander.exe patch as promised by coco, it will be playable on alexander now, in fact its highly recommended. A force diplomacy script are included in this patch. A specific adjustment to formations_ai to calibrate it for alexander.exe to prevent CTD's upon ambush. Bugfix for CTD upon winning campaign conditions for romans. I can't play custom battles, i can choose map, faction and army, but when i try to play the battle it just sends me back to select faction, i can play the campaign perfectly, the only problem is custom battles. I'd like to know, why are the Settlement names and Unit Names so twisted in this Mod. It looks like an error in typing or something. I have a vegetaion bug everything is desert help? Classical Age Total War online battles Glorius Antonia and me . Is this compatible with the steam version of the game? As many others have said, this mod crashes after you attempt to start a new campaign. It is a shame that a great looking mod like this can't be played. It would be nice if a fix/explanation could be given. I had this problem too with a rome total war that had also the darth mod and other mods.But when i put the mod in a clean rome total war it worked. My Rome was clean, and it seems the issue is only for some. When your there, delete the ui_1.pak. It fixed my crashes with Darthmod! is this a real solution?